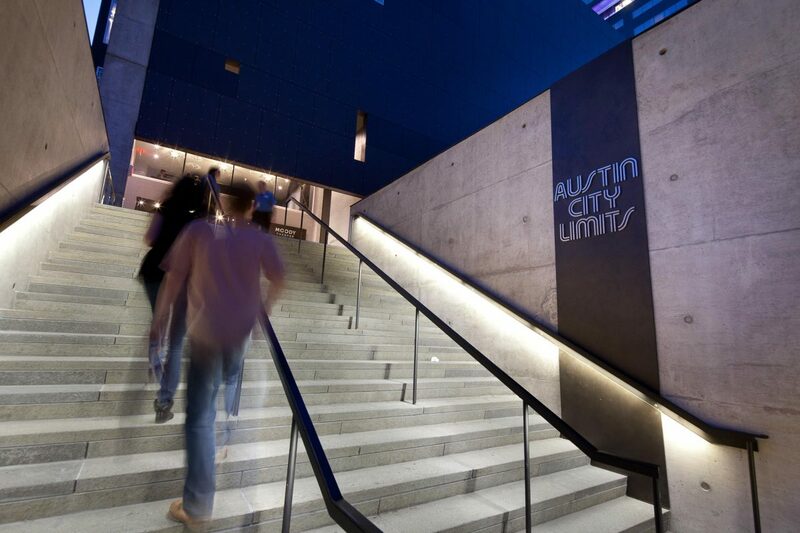 Austin City Limits has been recording and cataloguing traditional and emerging American, international, and multicultural music in a live format for over 30 years in a format characterized by the intimate approach to the artist and attention to the music and technical artistry. 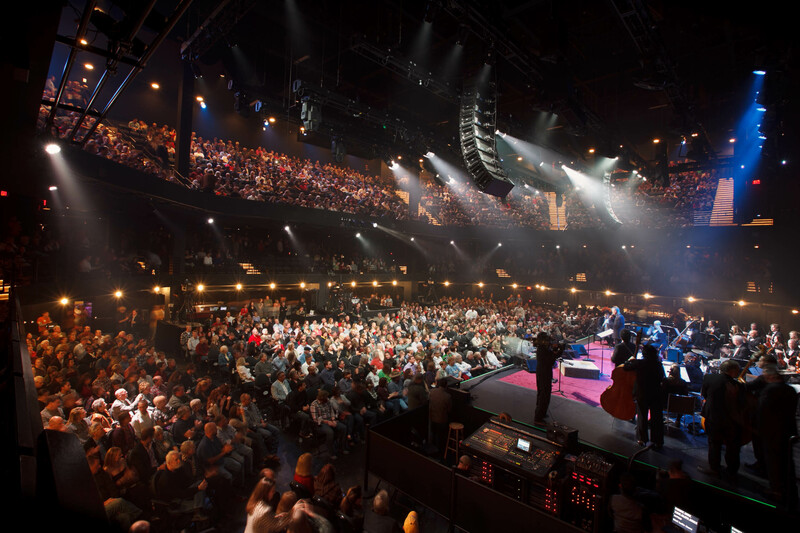 With its unique delivery, the vehicle of television coupled with the energy of a live audience, Austin City Limits has continued to improve its’ technical facility to match or exceed the capabilities of what the television viewer has available, even delivering a technically perfect “amplification” to the live audience. As the single most inquired about tourist location in Austin, ACL was previously almost invisible. 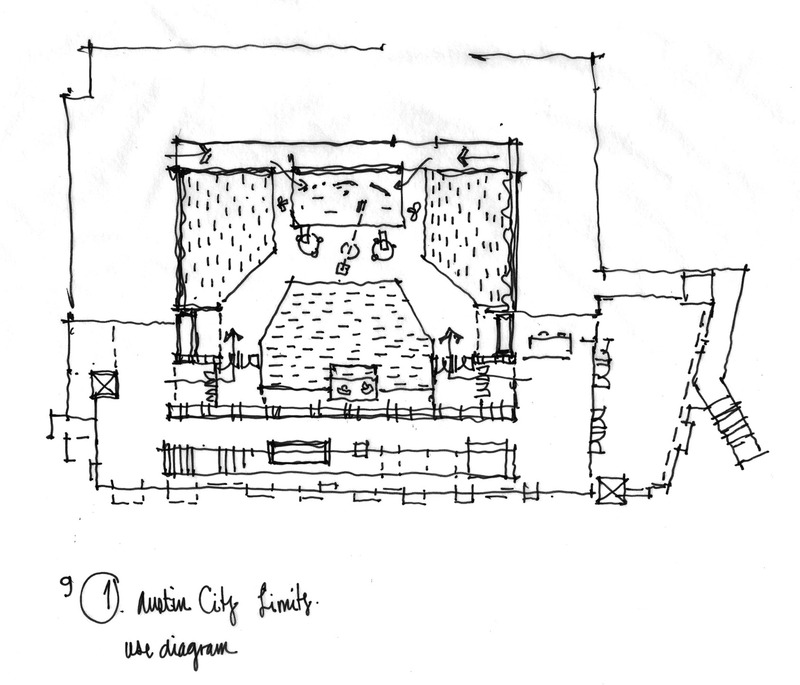 Operating out of an anonymous university building, ACL had an interior identity and a stage set, with no real external expression. 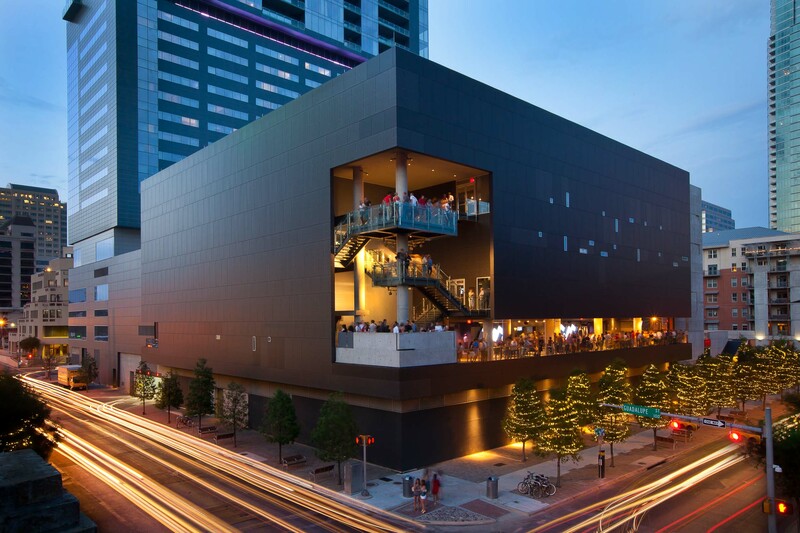 Austin City Limits Live at the Moody Theater, now lives in the center of the city within walking distance of more live music than you might find anywhere in the rest of the nation. The new facility addresses both technical and capacity limitations of the former location and embraces emerging technology. 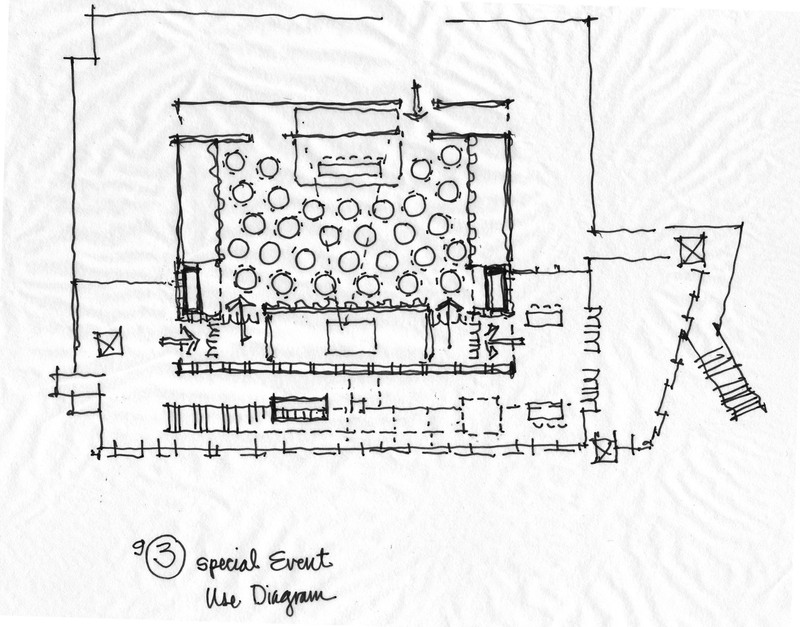 The initial design concept for the venue was a simple box within a box. 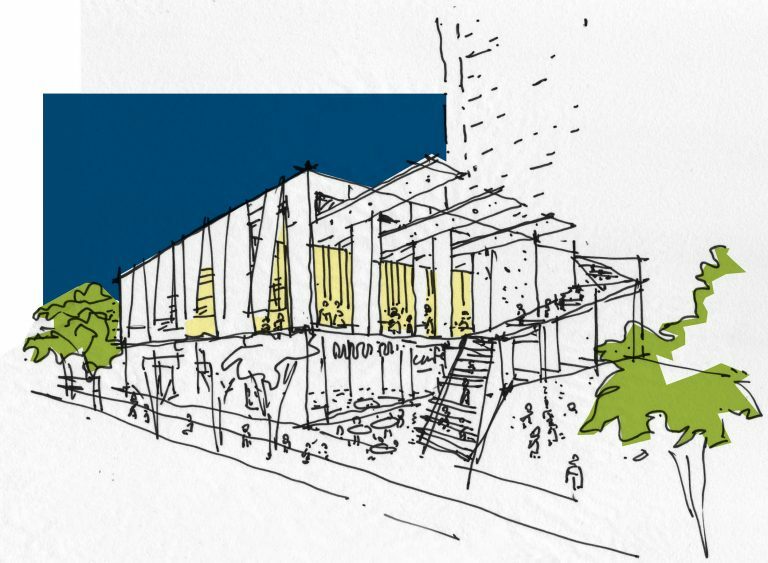 The lobby and the back of house functions fill in the space around the inner box, or performance space. A grand stair connects the floors in the lobby. 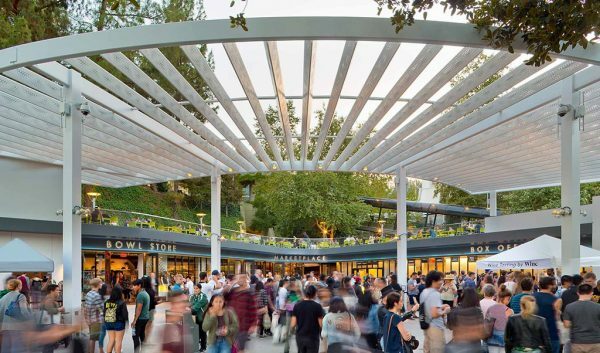 Driven by sight lines and maximizing the capacity and versatility of the space, the performance space literally had to break out of its inner box; the section of the building became much more complex to utilize every residual space. The building has become the embodiment of a traveling case the artists carries with them: a simple practical exterior shape, a box, in which an irregularly shaped instrument is placed with neatly packed supporting components placed around it. The lobby space is a manifestation of the performance space pushing into, shifting, and separating lobby walls on angles. In this sense, the instrument has inserted its shape into the lobby. 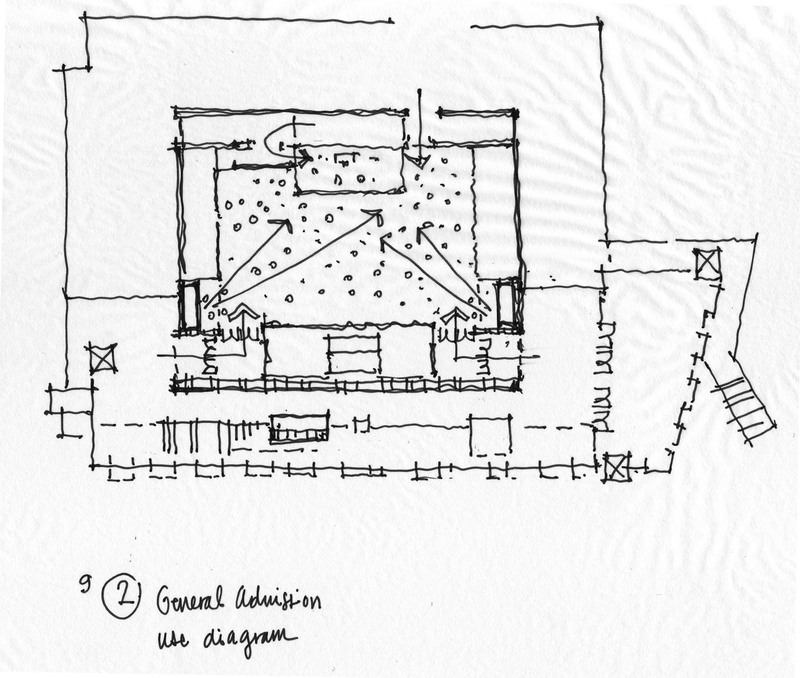 The grand stair is the most radically affected element from the performance space’s expansion. The stair now wraps around itself and emerges through openings in the exterior of the building. These contact points are openings in the building and the landings are revolving vantage points into the space and out into the city. The space becomes true Austin City Limits with the installation of the original performance platform and a new back drop. The platform is the sacred object on which many artists have performed, some of which are no longer living. 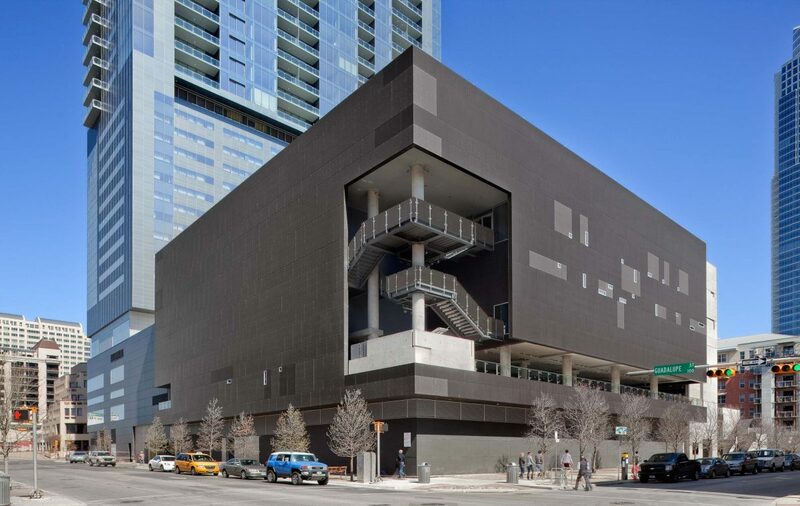 The Austin City Limits Venue is unique in that it is one of a handful of venues designed specifically to support live performances and broadcast simultaneously. This integrated design manifests itself in a facility designed to be intimate, flexible in its configuration, dynamic in its seating capacities, accommodating of temporary cabling, and designed to support video equipment. The venue is both flexible enough to give the artist with a small or yet not recognized draw an environment that is “full,” but also can accommodate a well-known band. 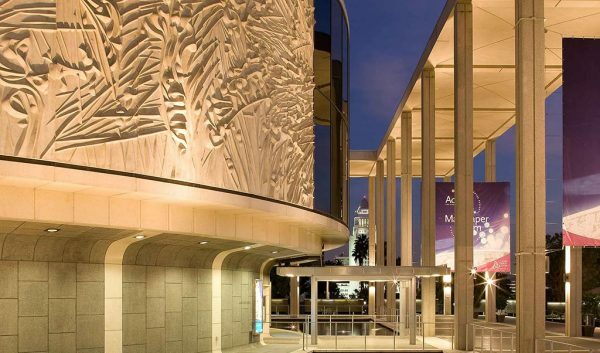 Essentially, the venue works for 300 or 2,300 live audience members and remains recognizable to the television viewer. It also operates on many of the other 300 days of the year in which ACL does not record, quickly transforming into a live music venue, television studio, speaking auditorium, music studio, catered special event venue, and convention assembly. Responding to all of these varied and dynamic needs, the ACL multi-purpose venue allows more fans than ever to participate in this unique music experience.